If you’re looking to overhaul your bathroom routine, TOTO’s UltraMax II 1G Washlet+ C100 toilet and bidet system is a great place to start. 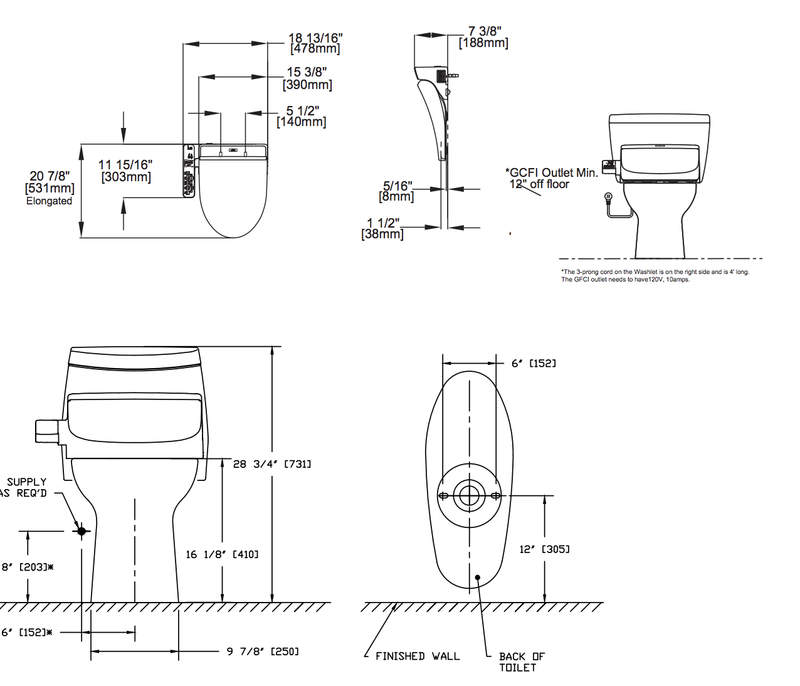 The UltraMax II toilet included in the purchase of this system is ADA compliant and a universal height, so it offers greater accessibility than many standard toilets. The bowl is coated with TOTO’s special CeFiONtect glaze, creating an ultra-slippery surface that helps repel waste residue, and the Tornado Flush technology delivers a powerful flush every time. 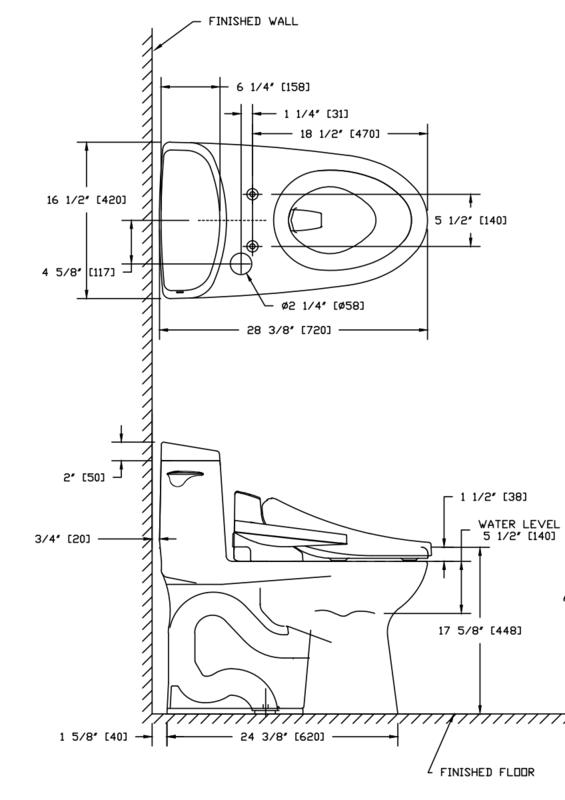 This UltraMax II toilet comes with TOTO’s C100 Washlet+ bidet seat, and it’s been specifically designed to hide the C100’s water and electrical connections for a sleek, seamless look. Keep in mind that the C100 Washlet+ is only compatible with Washlet+ toilets (like the UltraMax II). The C100 Washlet+ bidet seat included in this system is equipped with all the basic bidet features you need for a comfortable cleansing experience. Front, rear, and soft rear wash modes are designed to get you thoroughly clean, while the oscillating spray option causes the wash wand to move back and forth in a soothing, relaxing rhythm that can help stimulate bowel movements. A warm air dryer gives you the option of drying off without relying on rough, scratchy toilet paper, and the built-in deodorizer automatically kicks on after each use to get rid of any unpleasant odors. For your comfort and convenience, the C100’s water pressure, water temperature, seat temperature, wand position and air dryer temperature are all adjustable, and it’s easy to operate via buttons on the side arm control panel attached to the seat. Do be aware that the C100 uses a tank water heater to keep the wash water warm, which means that there’s a limited amount of warm wash water available at any given time. If the tank is depleted by an extra-long wash cycle or by multiple uses in a row, the unit switches to using cool water for washing until the tank has a chance to refill and reheat. From its classic look to its array of convenient wash and dry features, the UltraMax II 1G C100 Washlet+ toilet and bidet system is a great way to take your bathroom to a whole new level of amazing.